The agency’s core mission is to "improve the quality of life for the underprivileged and to assist others in a time of crisis’, emphasizing emergency, supportive and educational services to individuals and households until they stabilize. While maintaining strong collaborative relationships with a number of area providers, FHCSO practices a "one-stop" approach to service delivery. 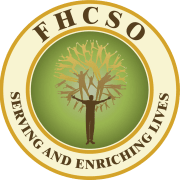 Founded in 1968, FHCSO is a minority, community based not-for-profit organization, located in the Village of Ford Heights, about 30 miles south of Chicago, Illinois. Our core mission is to improve the quality of life for the underprivileged and to assist vulnerable populations in times of crisis, emphasizing emergency, supportive and educational services to individuals and families until they stabilize. FHCSO's client base is primarily comprised of low income African Americans across South Suburban Cook County and East Will County, as well as parts of Chicago’s south side. FHCSO implores an integrated, one-stop center model to abate the issues of homelessness, hunger, unemployment, and poverty that plague our surrounding communities. Many of communities in our service are food deserts and rely on our multitude of anti-hunger programs..
Would you recommend FORD HEIGHTS COMMUNITY SERVICE ORGANIZATION INC?